Round One of Submissions are now open! Feel free to enter the title contest in whatever way you want. If you need a refresher on how to submit, the rules and all of the dates, please visit my post from last Monday. Here's the link! Comment on this post with your title entry. Remember, this is the title for the last novel in my Curse Books series. If you want a quick crash course in the books, here's the goodreads page for The Thousand Year Curse and The Curse of Betrayal. Read some reviews or synopsis' if you want to get reacquainted with the story. 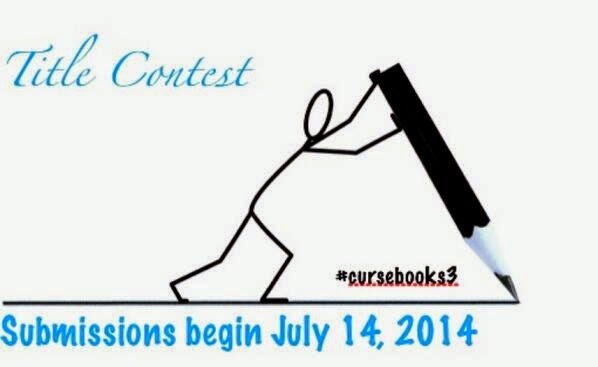 If you enter any other way use the hashtag #cursebooks3 so I can find your entries easily. You can enter via Facebook by writing on my page. Or my twitter by mentioning me: @taylorjlavati. Or my google+ page: +Taylor Lavati. If you don't want your entry to be public, EMAIL ME! It works the same. Just make sure in the subject you write, Title Contest Submission so I don't delete it thinking it's spam. Use your creativity and find me a title! Remember, this round ends on Friday at midnight so get your submissions in soon! I will personally view each and every one so don't worry... I see you. Top four will be announced Saturday and then voting opens the following Monday. Share this post so your friends and colleagues can enter, too!